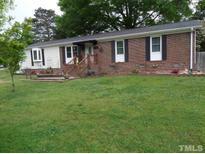 Find Wendell, NC Homes for sale. View Photos, Maps and MLS Data Now! A incredible find only 25 miles from downtown Raleigh! Great financing options available. MLS#2249863. 1130. 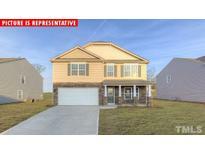 Creekside - Exterior features a covered front porch, gutters, 2 decks & partially fenced back yard. MLS#2249846. 1197. Edgemont Landing - Home comes with RWC 10 Year Builder Warranty. MLS#2249727. 782. Edgemont Landing - Agreements written on Builder's form. MLS#2249739. 782. Edgemont Landing - Agreements must be written on Builder's form MLS#2249743. 782. Meadow Brook - Covered Front Porch!! Patio area off master's! ! MLS#2249336. 1130. Short walk to amenities includes pool, walking trails, playground & more. MLS#2248400. 1126. Guest Parking. 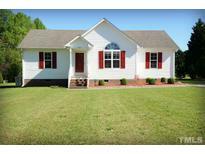 RARE RESALE IN WENDELL FALLS MLS#2249622. 1127. Creekside - Wendell address but Johnston County schools! MLS#2249515. 1197. Echo Forest - Choose from 3 different elevations still time to choose your options MLS#2248870. 297. See attached floor plan for room dimensions. MLS#2249054. 4856. The three car garage comes equipped with a second overhead rear door and a walk up finished flex space! MLS#2248677. 4061. Upstairs you'll find the owner's suite, walk-in closet, and private bath with access to laundry room. MLS#2248580. 835. You'll love relaxing on the built-in screened porch with full privacy on three sides. MLS#2248540. 835. You'll love relaxing on the built-in screened porch with full privacy on three sides MLS#2248542. 835. On arguably one of the best streets in Wendell Falls! #southboundtrain #garmanhomes MLS#2247620. 5013. Big lot, low HOA dues & no city taxes! Act fast! MLS#2248370. 1197. Deerfield - New roof in 2019 with 20 year shingles, 1 year home warranty. MLS#2248169. 4852. The second and third floors are equally great featuring 5 bedrooms, a huge Recreation room, a loft, and 3 full baths. MLS#2247951. 835. You'll love relaxing on the built-in screened porch with full privacy on three sides. MLS#2248003. 835. Edgemont Landing - Agreements must be written on Builder's form. MLS#2247920. 782. Add'l features include cozy gas log fireplace, covered front & back porches! MLS#2247964. 1197. Edgemont Landing - Agreements written on Builder's forms. MLS#2247908. 782. Large lot, low HOA dues & no city taxes - Act Fast! MLS#2247969. 1197. 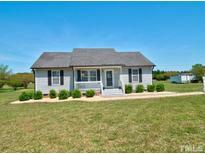 Olde Wendell - You'll love the screened porch with its view of the huge back yard. .80 Acre lot! No HOA MLS#2247720. 952.